Pretty exciting news -- Teejei is now a member of Brizeus, a group of pipers, drummers, and string players based all over the USA performing Celtic, historic European, and original folk dance music at outdoor festivals. 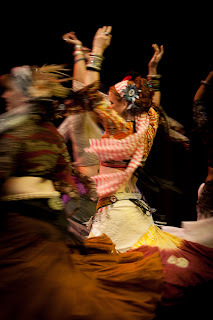 Teejei has been adding to her considerable dance talents by developing her drumming skills... and for the next few weeks, she'll be performing with Brizeus at Pennsic, a huge Society for Creative Anachronism event in Pennsylvania. 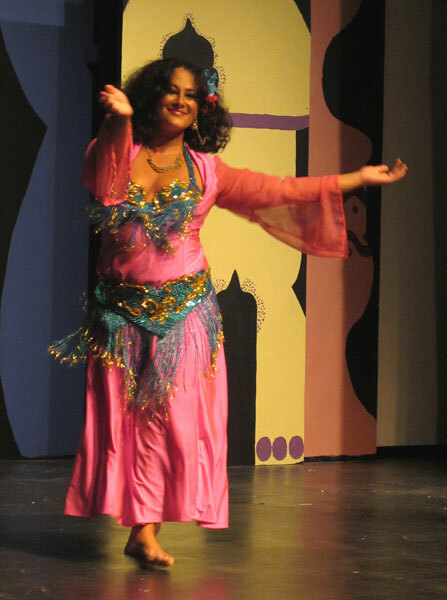 Teejei's Awalim Dance Company troupemate Aziza Nawal will be teaching Teejei's classes! I am personally excited about this because though I've admired her for years and been in classes and workshops with her, I've never studied with Aziza before. Following the format Teejei has established, on Tuesdays at 8:00 she will be teaching a section of one of her choreographies on Tuesdays; on Monday night at 7:00, she will focus on the technique for some of the moves in the choreography. And I am so excited about it! See Dance 101's web site for drop-in and class card pricing. 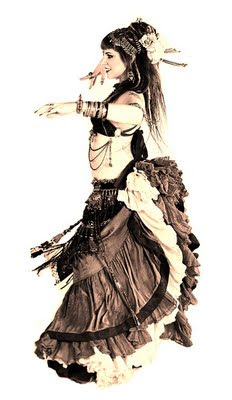 Mark your calendars for "ATS: From the Earth to the Moon," an awesome American Tribal Style belly dance workshop with Teejei of Awalim, Saturday July 23rd from 1:00 to 3:00 at Dance & Arts Showcase near Northlake Mall. 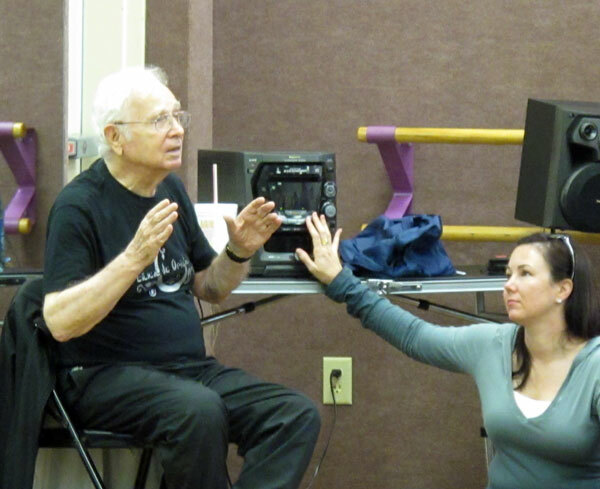 This will be an all-levels technique and improvisation workshop. Experience ATS for the first time, or get a tune-up if (like me) you're rusty! 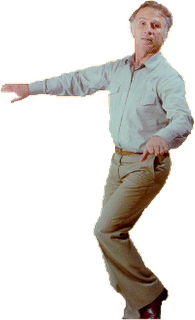 There won't be anything too advanced; just some good quality time in a dance-and-troubleshoot format. Wear what you like and please bring your zills. 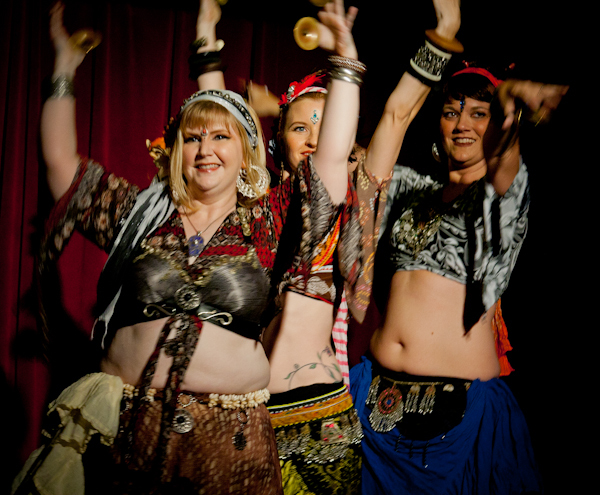 Teejei is certified in the FatChanceBellydance format, so the technique is high-caliber and straight from the source. And to top it all off, your attendance will help fund Teejei's journey to Middle Eastern jam band heaven -- Pennsic! A portion of the proceeds will also benefit the Cheb I Sabbah Cancer Treatment Fund. Workshop fee is $30. You can pay in advance (just send money via Paypal to jessica.brigham@gmail.com), or via cash or check at the door. However, Teejei would appreciate RSVPs, either via e-mail or on the Facebook event, so she knows how many students to expect. 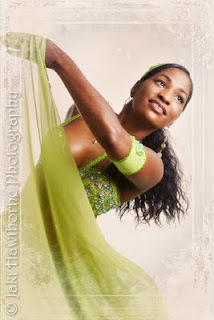 Dance & Arts Showcase is located at 2861 Henderson Mill Road in Atlanta, just past Northlake Mall and near Mercer University. Click here for a map. 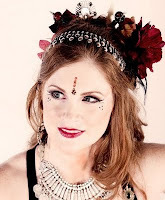 Jahara Phoenix & 4th Ward Afro Klezmer Orchestra Tonight! In the second installation of a new music series pairing Atlanta bands with Atlanta dancers, the lovely ladies of Jahara Phoenix will be performing with the 4th Ward Afro Klezmer Orchestra tonight, Friday July 15. The "4WAKO" is a nine-piece band that (according to Doug DeLoach of Stomp & Stammer), "...carve soulfunk grooves remiscent of Fela Kuti's Africa 70's and rock the bar mitzvah like there's no Second Coming." Seriously, between that and the eclectic style of Jahara Phoenix, how much fusion can you take?!? Come to the Goat Farm's Rodriguez Room tonight at 10:00, fork over just ten bucks, and find out! Check out the Facebook event for more info. Alphonse Mucha, "Study for the Moon"
A few weeks back, we asked you to mark your calendars for an amazing show at the Red Light Cafe featuring a rare opportunity to see performances by many talented dancers in several styles -- all to live music. Well, it's almost time! 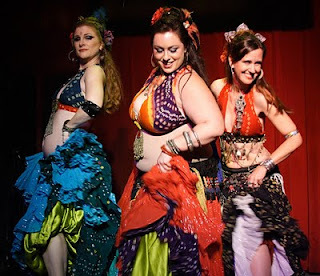 This Saturday, July 16th at the Red Light Cafe, Awalim Dance Company will present TribalCarnivale Extraordinaire. This will be the first time in over ten years that the Atlanta scene has experienced a belly dance show and hafla with 100% live music! At 9:00, Greenville's Wasted Wine and some of the area's most talented dancers will open the show. The main event will be a series of performances with accompaniment from the Day Late & Dollar Shortkestra, featuring Natalie Brown, Glenn Weinstein, Majda Anwar, and the great Darbuka Dave. 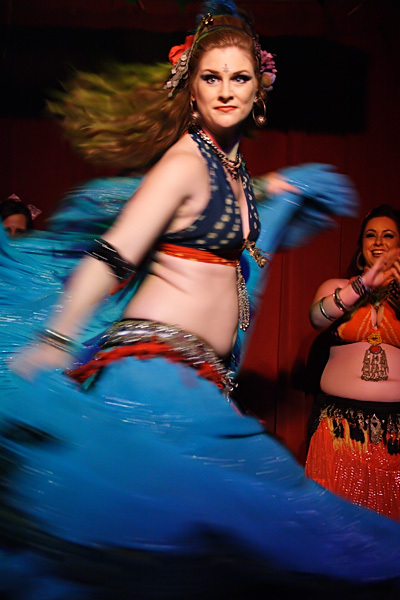 You'll hear traditional favorites like "Aziza" (guess who's dancing to that one?!? ), "Rampi Rampi," "Uskudara" and "Ah Ya Zein," as well as lots of other amazing music from all over the world! The lineup includes Awalim, Jahara Phoenix, Kira Lang, Melanie Parker, Zaina Zahra, Halleyah, Lacy Perry, and the multi-talented Natalie Brown. RSVP to the Facebook event to keep abreast of all the updates on this one-of-a-kind show! Tickets are just $13 in advance -- get yours here. See you there! 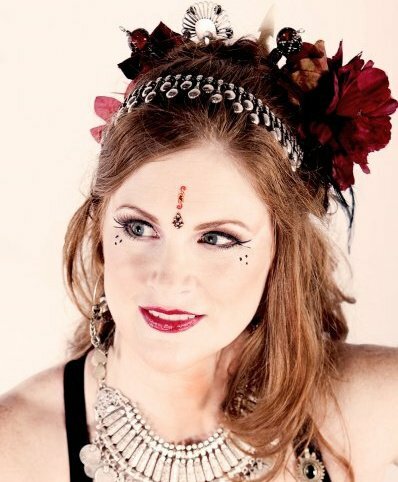 Once again, Kira brings her monthly Open Stage Night to Dune Lounge this Saturday! 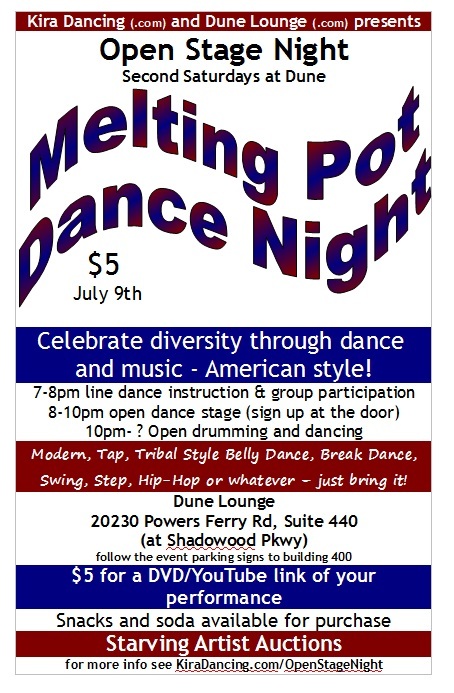 This month's theme is "Melting Pot" -- celebrating diversity through dance and music, American style. 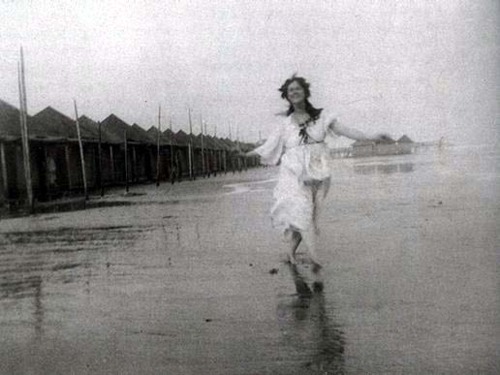 With line dancing(!) 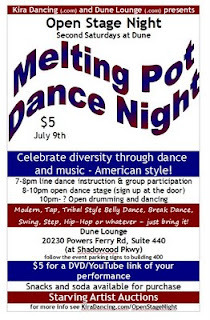 lessons at 7:00, open stage dancing from 8:00 to 10:00, and drumming for social dancing starting at 10:00, this promises to be a really fun night! Click here for more info, or visit the Facebook event to RSVP. This Saturday, July 9, Awalim Dance Company will wrap up their three-part workshop series at Atlanta Fusion Belly Dance with "How to Simplify What Seems Complex." The goal of this workshop is to give you the tools to get the most out of your investment in other workshops! Ever been to an expensive workshop and spent much of your time just trying to figure out what the famous dancer at the front of the room is doing? 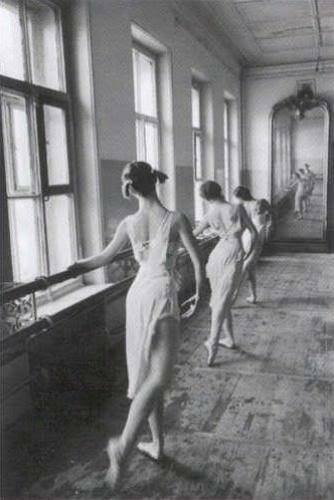 Ever gotten home from a workshop and realized that you've already forgotten most of what you learned -- and don't really know how to integrate what you do remember into your own dance practice? How to discern what a dancer's feet are doing -- common footwork patterns to recognize and simplify. Stop being frustrated with the basic portions of workshops so that you can really grab the essence of what an instructor is trying to convey! How to break dance down into simple parts to make class and workshops you attend fit together and be more relevant to each other. You will receive tools to better understand how simple this can all be. Don't miss this workshop at the beautiful AFBD studios, this Saturday from 2:00 to 4:00 p.m. Click here to register!